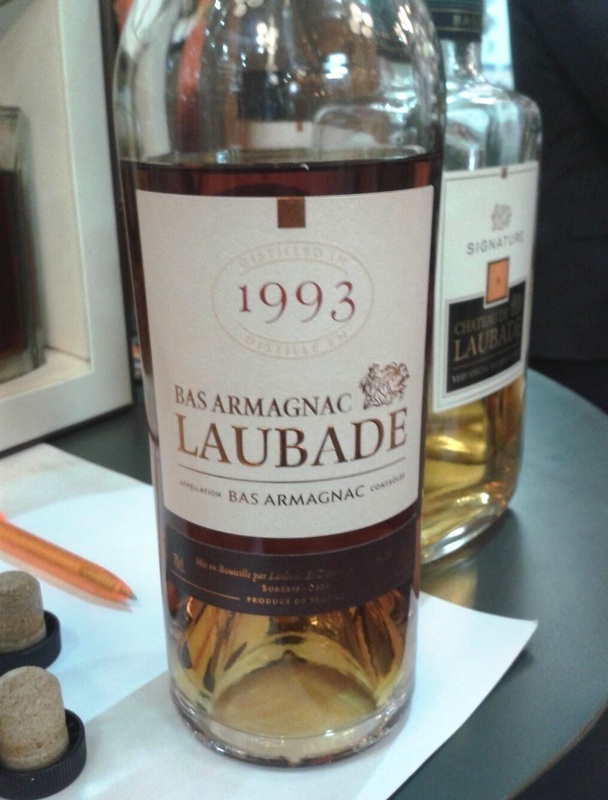 Amathus City saw another scintillating evening of spirit tasting last night with the showing of Chateau de Laubade Armagnac. The evening was presented by Denis, third generation of family owners and keen supporter of the sustainability and drive for quality shown there. Indeed he took great pains to stress the respect of the environment the Chateau shows through its vineyard management, regaling us with stories of shepherds from the Pyrenees who feed their flocks over the winter periods on their lands, thus providing a natural source of fertilizer that has seen them reduce the use of conventional fertilizers by up to 25 times. Theirs is a policy of a low use of precautionary treatment to their vines which they apply only when strictly necessary. He also spoke of instances where the planting of trees has been undertaken to drain areas prone to flood and an endeavour to foster newly planted oak trees in a bid to be self-reliant with cooperage. The spirits themselves range from the young more floral and fruity armagnacs to elegant bottlings from the Hors d’Age upwards which display greater spice and liquorice. We can’t recommend these products highly enough, they are a must try and we carry the full range here at Amathus City. One last plug again for the forthcoming Amathus wine fair for this Friday to coincide with the Lord Mayors show of switching on the Christmas lights, there will be lovely wines to try and plenty of entertainment too, so don’t miss it. Next > Christmas lunch – what is the perfect Wine pairing?